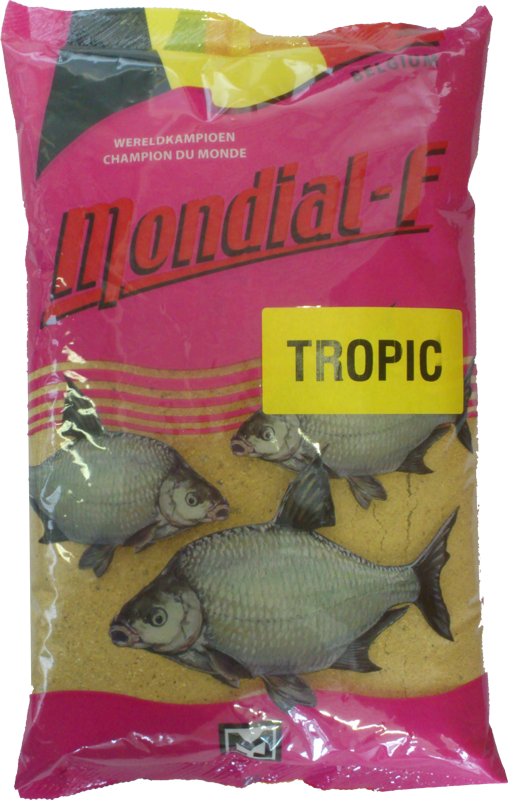 High quality, sweet baits for bream and other large fish pond. 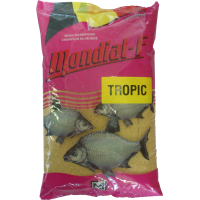 This famous recipe Mondial-F with its black dots, which ensure fast operation, must be created carefully. Most preferably in 2 to 3 times with 0,9 liter of water. Operates in various stages: 0,5 liters of water let drain for 15 minutes, add again 0,3 liters and mix finally after the sieving 0,1 liters of water through the feed to achieve a homogeneous mixture. Remember after the sieving bring the black dots again in the mixture and mix it! This light and airy composition also performs well on a muddy bottom, and especially during the summer months when the fish are hungry and biting lusty.